No good way to hash SHA1, SHA256, & CRC32 except from the command line. 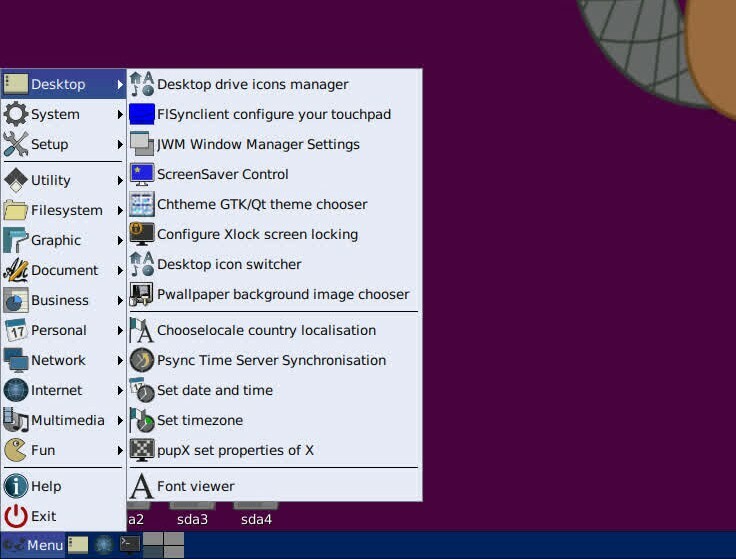 I installed gtkhash from the ubuntu bionic repository and did not like how it looked, it did work ok though. I just ended up using the gtkhash from precise puppy. Works good and looks good. It is in this pet file attached. Note the boot option net.ifnames=0. The error has left, not there entered the parameter. Everything is working !!! How to make duplicate tray on my extended monitor? the old-style .jwmrc & .jwmrc-tray and the old desktop tools. It is only for a frugal installed UPUP Bionic. It also changes the menu label "Applications" to "Menu" and "Leave" to "Exit"
It uninstalls cleanly if removed. 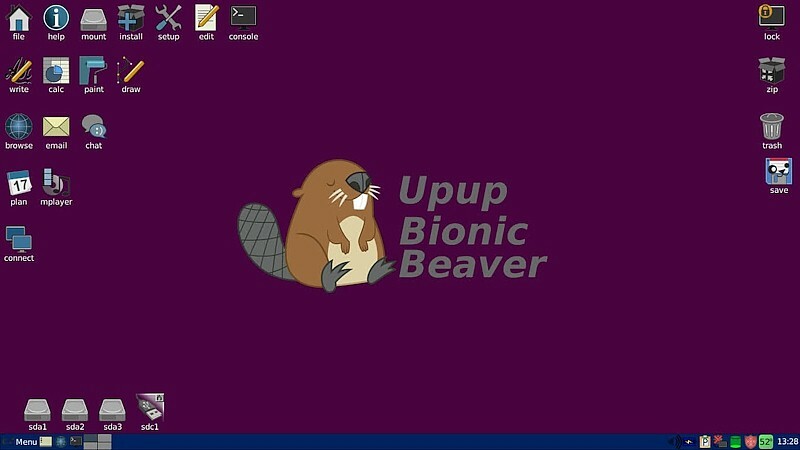 This is for a frugal installed UPup Bionic Beaver only. Pics show what it does. Short answer is - yes. Great but i 'am interested in a ubuntu puppy based with the latest kernel,and yes i have 64-bit capable mini laptop. And you want us to chew your food, also. 1. Download the huge-4.18.3-lxpup64.tar.bz2 from the link peebee provided. 2. Right-click it. Select one of the extraction applications such as UExtract or pArchive. Extracted you'll find two files. Right-click vmlinux-4.1.8.3-lxpup64, select rename and rename it just vmlinux. Open a 2nd file-manager window to your upup66 folder and look at the full name given to zdrv_upupbb_xxx.sfs. In the other window, right-click the extracted file kernel_modules.sfs-4.18.3-lxpup64 and rename it to be exactly that of the zdrv_upupbb_xxx.sfs. 3. Right-click an empty space in your upupbb folder. Select New>directory and give it a name, like Old_Kernel. Drag the current vmlinuz and zdrv_upupbb_xxx.sfs into that folder and select move. [The purpose of this step is to enable reversion to the old kernel should you want/have to]. 4. Drag the vmlinuz and newly renamed zdrv_upupbb_xxx.sfs into your upupbb folder. 5. Reboot. You'll now be running upupbb with a new kernel and all the applications you installed. 6. The above takes less than 5 minutes and is much faster than having to start building your upupbb from scratch. Although upupbb is a 32-bit system and the kernel you downloaded can be used in 64-bit systems, it can also be used in 32-bit systems. However, kernels built exclusively for 32-bit systems can not be used in 64-bit systems. My layman's understanding: The code at the machine level on a 64-bit system are 64 bits long. instructions consist of one 32-bit word joined to a 2nd 32-bit word. 64-bit systems read this as one word. A 32-bit system can't read the 2nd-half of that word and ignores the second half. Afterthought: The above may not work if your computer is a "true nopae", that is its CPU doesn't just have pae turned off by default. Pae is an instruction set enabling a 32-bit system to access more than "4" Gbs of RAM (actually about 3.9 Gbs). As far back at the Pentium-Ms, some computers had the instruction set, but it was turned off by default: It works CPU a little harder and manufacturers of computers that old figured you didn't have more than 4 Gbs of RAM so why waste the resources you do have. To turn it on, add forcepae to your boot arguments: e.g. But if your computer is a "true nopae", it probably can't run upupbb anyway. delete /lib/modules. delete /etc/modules. delete /etc/X11/xorg.conf. If a slackwarepup, delete /etc/udev/rules.d/70-persistent-net.rules. And finally delete /var/local/xorg_udev. None is essential but it prevents carrying multiple kernels in the savefile and port relabeling in the slackware based pups, and forces a clean boot.